The Pyramex OTS (Over the Spectacle) safety glass is designed to fit over today's prescription eyewear. 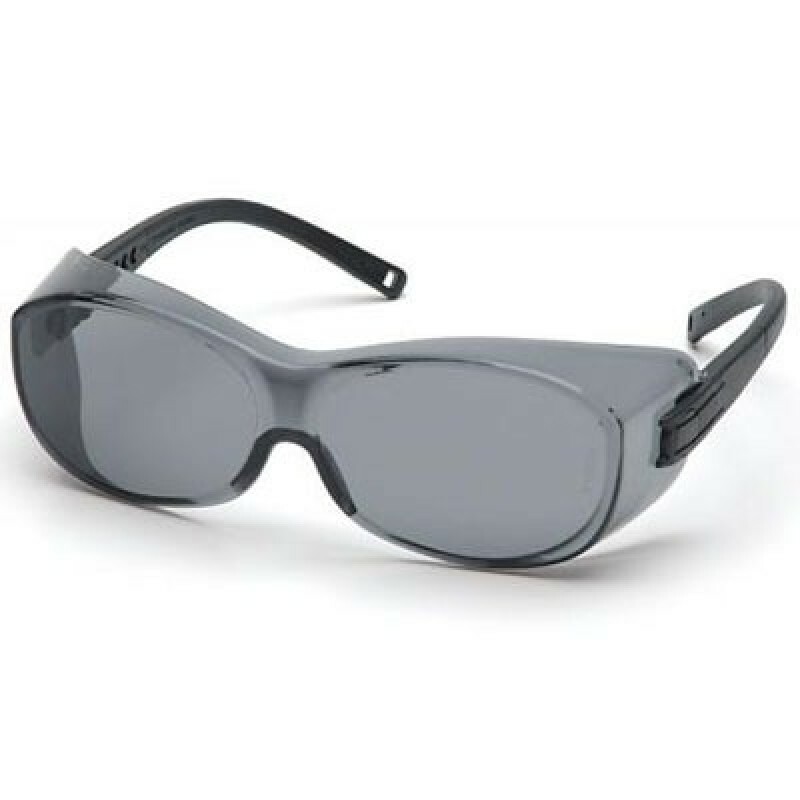 The OTS over glasses safety glasses offers single lens protection that encapsulates the eye for superb protection. The lightweight nylon temples adjust for length and pitch for adjusting. Lenses are coated for superior scratch resistance. 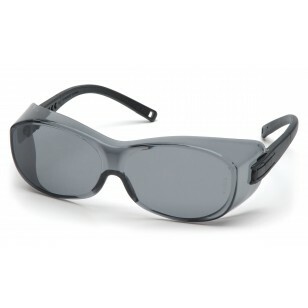 Lenses provide 99% protection against harmful UV rays.